Yesterday, on Dec-22-2006 we asked for Certificate of Occupancy for the Project which consists of six manufactured homes in Wayne Michigan. There is an alley behind the houses most of which has been vacated, except for part of the length just South of the houses. 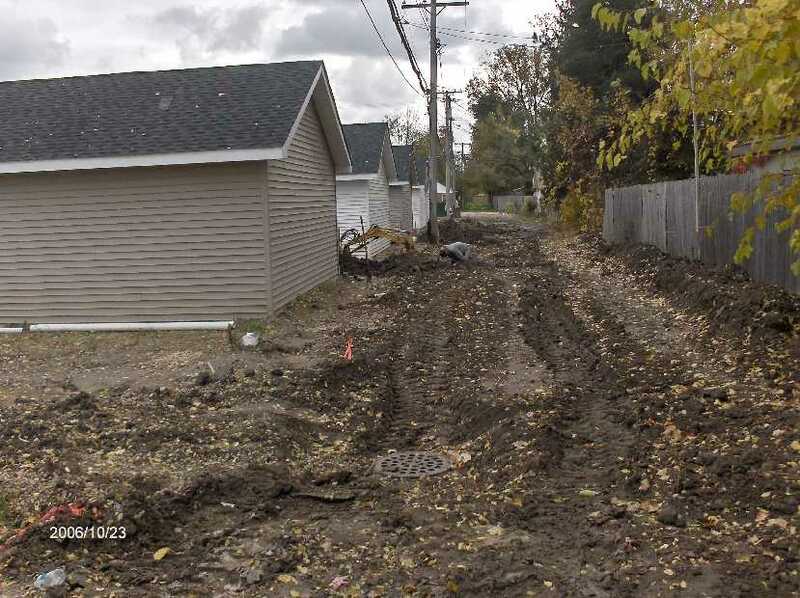 The alley and the housing area needed to be graded for effective drainage and then seeded or sodded. The owner wants to get the Certificate of Occupancy to enable him to sell the houses. 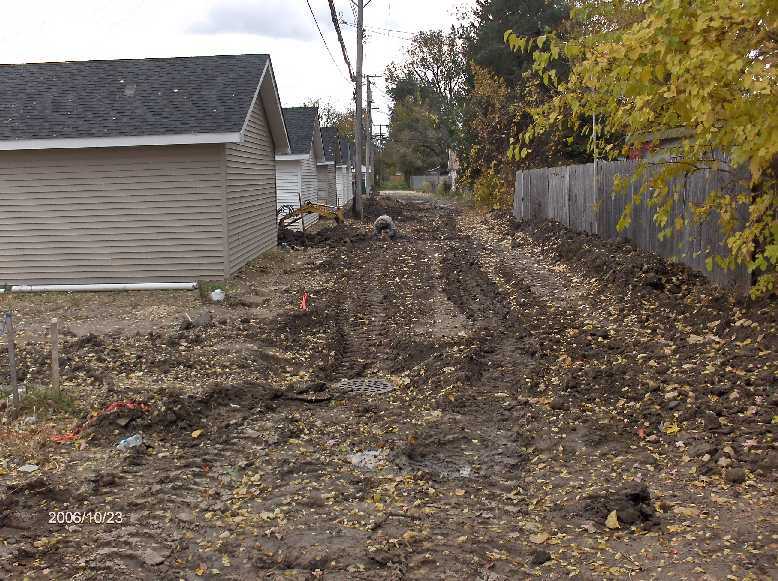 The owners intent was to get relief from the City of Wayne in regard to the needed seeding/sodding of the area believing that the seeding/sodding would be the responsibility of the purchasers of the homes. The Building Department at City of Wayne has informed the owner that all the required work on the houses must be completed. The only item remaining to be completed is the seeding/sodding. The City of Wayne will issue a temporary Certificate of Occupancy provided a bond can be posted to ensure that the seeding/sodding work can be completed within the specified time frame. The owner has posted a Bond and the City has prepared the paperwork for issuance of a temporary Certificate of Occupancy. I have posted a few pictures of the grading work that was done in the alley. 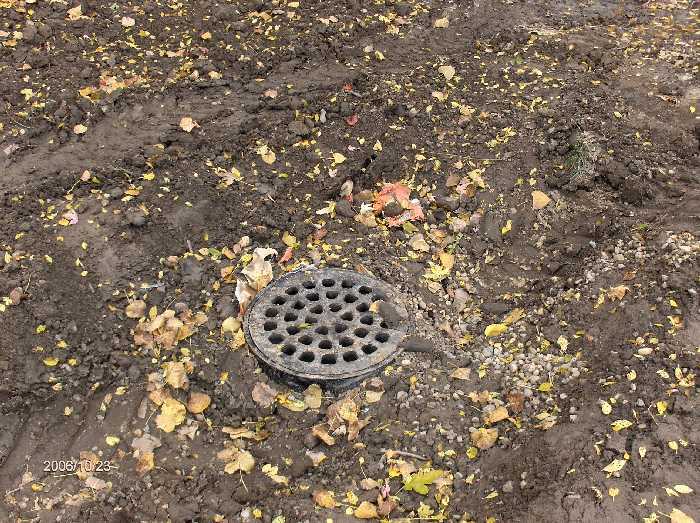 I will be discussing the Grading for Surface Runoff and Seeding-Sodding Area Between the Houses, and Basement Sump-Line Drainage for the Houses separately.